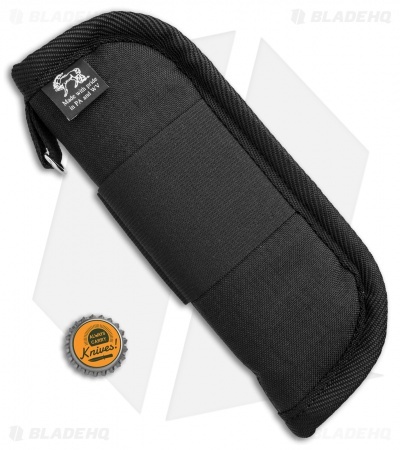 This Unique Cases pouch measures 8" by 3" and is made from durable black nylon with an elastic strap. It features USA made quality with a reinforced seam, zipper closure, and a stainless steel D-ring. Protect all of your knives with the sheaths and pouches from Unique Cases.